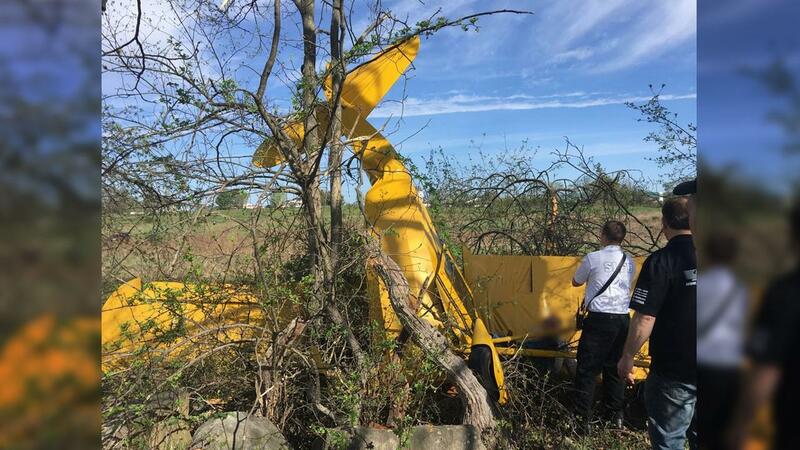 On May 5, 2018, about 0905 eastern daylight time, an Aeronca 7AC, N84396, was substantially damaged when it impacted trees shortly after departure from the Randall Airport (06N), Middletown, New York. 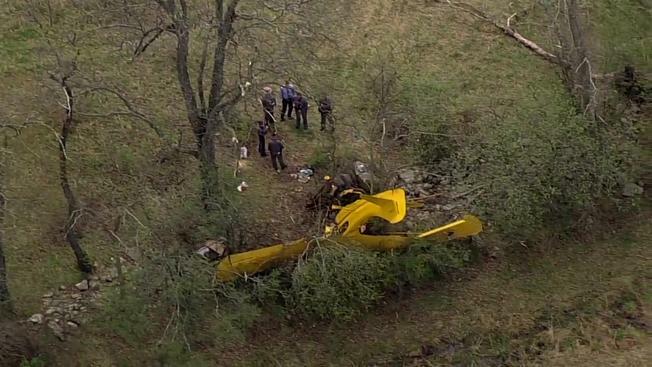 The commercial pilot was fatally injured, and the flight instructor was seriously injured. Day visual meteorological conditions prevailed at the time, and no flight plan was filed. The airplane was owned by New York Champs Fling Club Inc. and operated by the commercial pilot under the provisions of Title 14 Code of Federal Regulations Part 91. According to a member of the flying club that owned the airplane, the commercial pilot reserved the airplane from 0830 to 1100 on the day of the accident; however, he did not specify a destination or purpose of the flight. A witness, who was driving on the road adjacent to the accident site observed the airplane flying in a westerly direction, when it "suddenly went nose down." She then stopped, saw the airplane in the woods, and called 911. 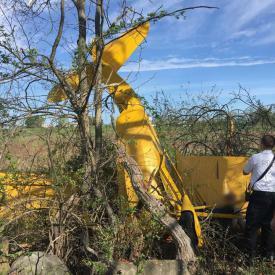 The airplane impacted a row of trees and rocky terrain at the edge of a field, about 1/2 mile from the departure end of runway 26 at 06N, about 300 ft to the left of the extended runway centerline. The airplane came to rest about 90°, vertical, nose down attitude with the wings oriented on a heading of about 250° magnetic. Several tree branches were broken directly above the airplane, and no ground scars were present leading toward or away from the main wreckage. Examination of the wreckage revealed that all the major components of the airplane were present at the accident site. The nose section and engine were partially separated from the fuselage and displaced to the right and aft. Both wings had leading edge crush damage along their span. The empennage was bent about 40° to the left, aft of the baggage area. The rudder, elevator, horizontal and vertical stabilizers were largely intact. There was no fire. Flight control continuity was established from the ailerons and elevator to the rear seat control stick. The elevator moved freely; both ailerons moved with some binding. The main control tube was separated between the front and rear control sticks, consistent with bending overload. Rudder cable continuity was established to both rear seat rudder pedals, through a recovery cut in the attachment bracket on the right pedal. All cable ends remained intact. The rudder moved in both directions with some binding. Impact damage to the fuel tank, firewall, and engine cowling precluded examination of the engine while at the accident site. The magneto switch was in the "both" position, the fuel control lever was in the "on" position. The carburetor heat knob was in the cold position. Both blades of the wooden propeller were fractured and splintered in several pieces. Blade "A" was fractured in the aft direction, near the root. Blade "B" had one dent in the metal leading edge about 4 inches from the tip. The spinner was crushed aft. The throttle linkage remined attached at the carburetor. The carburetor heat control cable remained attached to the air intake assembly. The air filter was damaged and unobstructed. The fuel tank was crushed and breached. The fuel tank outlet fitting was fractured and separated from the tank. The commercial pilot was seated in the front seat. According to Federal Aviation Administration (FAA) airman records, he held a commercial pilot certificate with ratings for airplane single engine land, airplane single engine sea, airplane multiengine land, instrument airplane, and glider. His most recent second class medical certificate was issued on June 21, 2017. According to his logbook, he had accrued 737 total hours of flight experience, of which 12 hours were in the same make and model as the accident airplane. The flight instructor was seated in the rear seat. According to FAA airman records, he held a commercial pilot certificate with ratings for airplane single engine land, airplane single engine sea, airplane multiengine land, instrument airplane, and a flight instructor certificate with rating for airplane single engine, and instrument airplane. His most recent third class medical certificate was issued on March 13, 2018, at which time he reported 8,075 total hours of flight experience. MIDDLETOWN, Orange County (WABC) -- A local rabbi who has president of a Jewish seminary was killed in a small plane crash in Orange County. 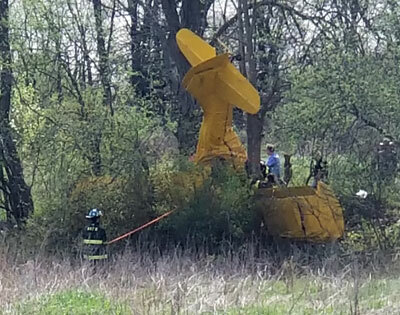 An Aeronca 7AC aircraft crashed just after takeoff Saturday from Randall Airport in Middletown, New York. Rabbi Aaron D. Panken, Ph.D, 53, was identified as the victim. Panken was the 12th president of the Hebrew Union College-Jewish Institute of Religion. One other passenger was injured in the crash and transported to an area hospital, officials said. It is unclear what caused the plane to crash. The Federal Aviation Administration is now investigating. Panken was remembered Sunday at Congregation Emanu-El of the City of New York on Fifth Avenue at 65th Street, where he was scheduled to lead the ceremony to ordain this year's Hebrew Union College-Jewish Institute of Religion rabbi graduates. He had been installed in 2014 as president of the institute, which is a seminary for Reform Judaism and has campuses in New York, Los Angeles, Cincinnati and Jerusalem. Panken had most recently presided over graduation ceremonies in New York City on Thursday. In his remarks, he spoke of a world that is "particularly challenging and painful" at this time but said "the Jewish people, and our religious friends of other faiths, have seen this before, and we have lived through it and thrived and built again and again and again." A spokeswoman for the seminary says Panken was a skilled pilot and was on a routine flight. 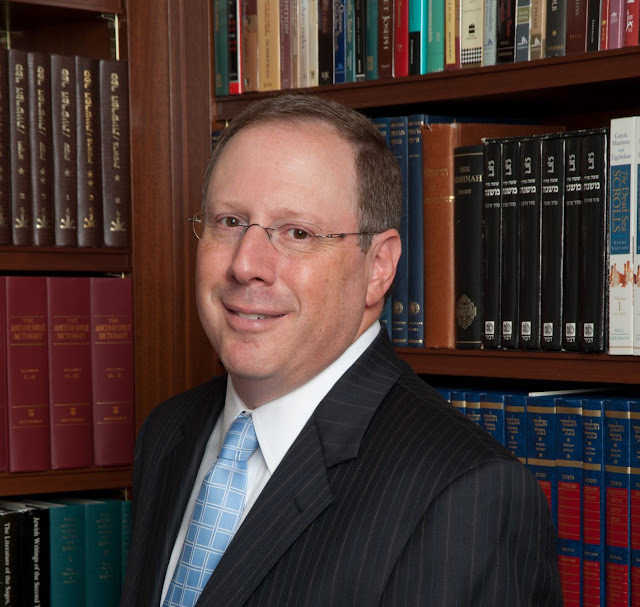 Rabbi Aaron D. Panken, president of Hebrew Union College-Jewish Institute of Religion, died in a plane crash May 5. He was 53. Panken was a highly skilled pilot performing a routine flight check near Middletown. N.Y., a spokesperson told the Cleveland Jewish News. Panken, the 12th president in HUC-JIR’s 143-year history, led the four-campus international institution of higher learning and seminary for Reform Judaism. HUC-JIR’s campuses in Cincinnati, New York, Los Angeles and Jerusalem provide the academic and professional training programs for the Reform Movement’s rabbis, cantors, educators and nonprofit management professionals, and offer graduate programs for scholars of all faiths. He visited the Cleveland area in October 2015 and spoke at Anshe Chesed Fairmount Temple in Beachwood. "I’m deeply saddened about this news, Rabbi Robert A. Nosanchuk, senior rabbi at Fairmount Temple told the CJN. "I have known Aaron Panken since I was 19 visiting HUC-JIR in New York for the first time. By the time I began my studies for the rabbinate, he was an instructor in Talmud and a remarkable force for good within the college-institute. "He was an incredible leader as president of HUC-JIR. One thing about Aaron is that he showed how he cared so deeply about you. He’d call me to encourage me in difficult moments of my life and rabbinate and to congratulate me in celebratory moments. "I saw him in Chicago this fall at an HUC-JIR event and again last in December at the Reform Movement’s biennial convention in Boston, where he gave me a special award for supporting the mentoring of young people and the development of youth leaders in our movement," Nosanchuk said. "I will cherish these memories as I didn’t realize they would be my last of him. I can honestly say I will never ever forget Rabbi Aaron Panken or the Torah he taught me. Panken was elected HUC-JIR president on July 31, 2013 and his appointment became effective Jan. 1, 2014. He was installed on June 8, 2014, in Cincinnati. Panken is survived by his wife, Lisa Messinger; children, Eli and Samantha; parents Beverly and Peter; and sister, Rabbi Melinda Panken of Congregation Shaari Emeth in Manalapan, N.J.
WAWAYANDA – A small plane crashed into a wooded area off Dolsontown Road in the Town of Wawayanda Saturday morning killing the pilot and injuring a passenger. The pilot was identified as Aaron Panken, 63, of Mamaroneck, police said. 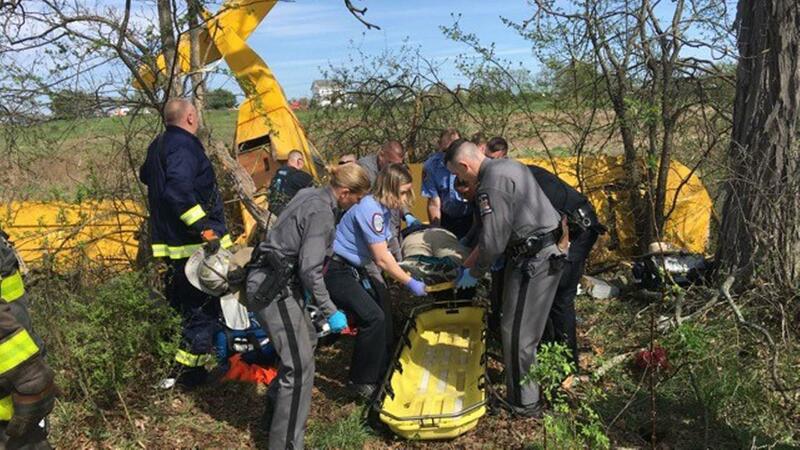 The injured passenger, who was being treated at Orange Regional Medical Center in the Town of Wallkill, was identified as Frank Reiss, 65, a flight instructor. 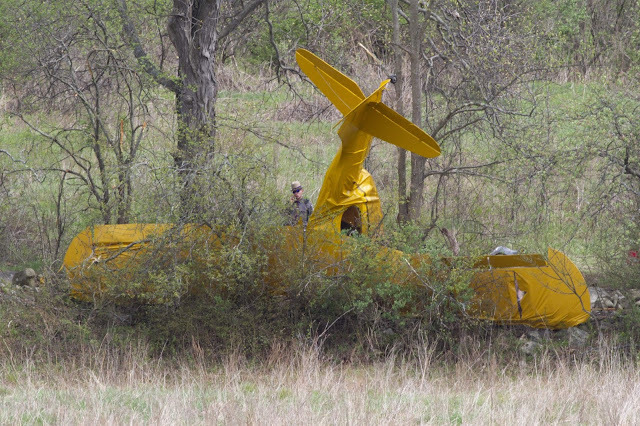 The 1946 Aeronca plane went down about one mile from Randall Airport, a small private facility that is frequented by privately owned small aircraft and gliders. Officials said the aircraft had taken off from the airport when it went down. Will you post a link to the report when it is released?